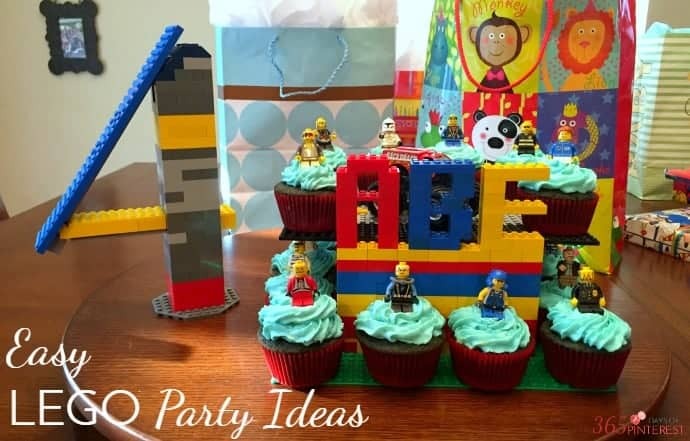 Throwing a birthday party for your LEGO lover is a piece of cake with these easy lego party ideas! The best part? 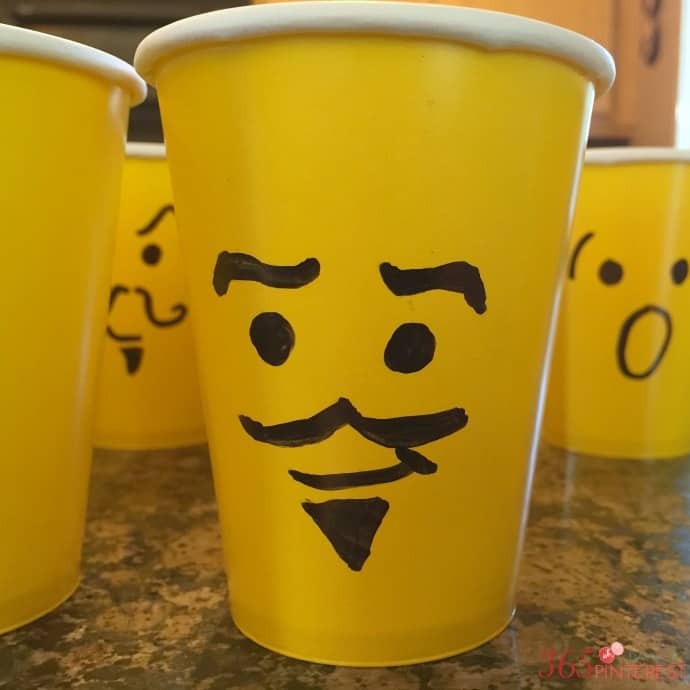 They are inexpensive to make! Please, please…hold your applause. You’re embarrassing me. (In case you’re not as in tune with my daily life as I like to pretend, I took off the last four weeks or so.) Well, kinda. I’ve been working behind the scenes on boring stuff, hanging out on social media still and even tried a few new recipes, but I haven’t been posting anything. 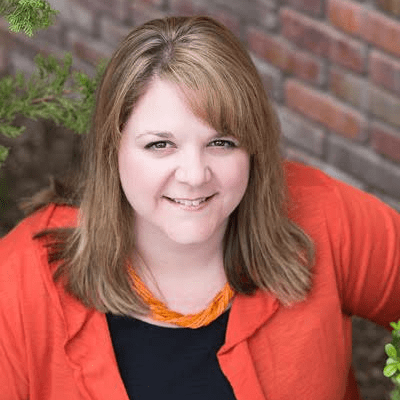 While I’ve been “away” from the blog, my husband and I celebrated our 16th anniversary. We weren’t actually together for the week of our anniversary because Bryce was at camp and Jared went with him. While he was gone, I went looking through our old photos and I dug up what I’m pretty sure is the very first photo of us together. 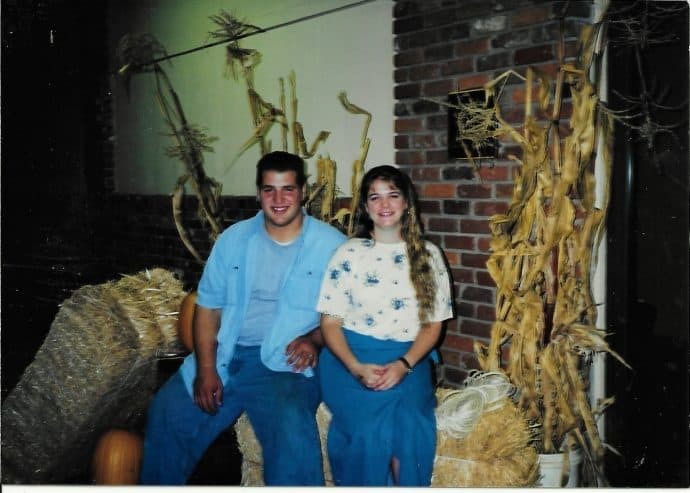 We started dating in October of 1997 and this was taken outside the Fall Festival at college. We thought we were such grown-ups. 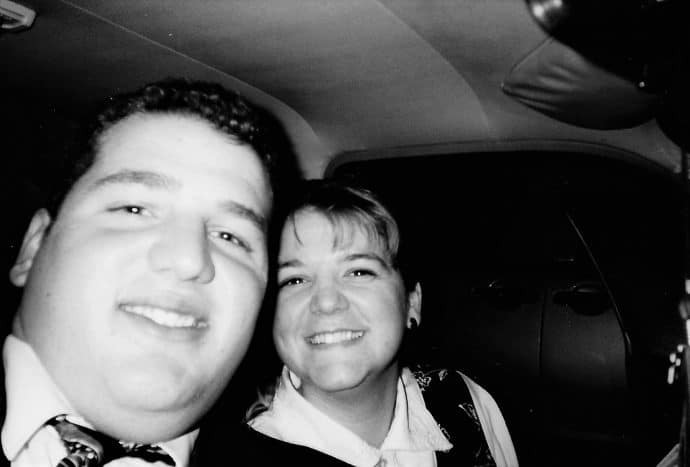 Turns out, we’ve done a lot of growing up together these past 19 years! The addition of Bryce, Henry and Charlie to our family has brought me such joy and fulfillment. We may not be rich, but we are wealthy. <3 I love spending time and making memories with these gentlemen! 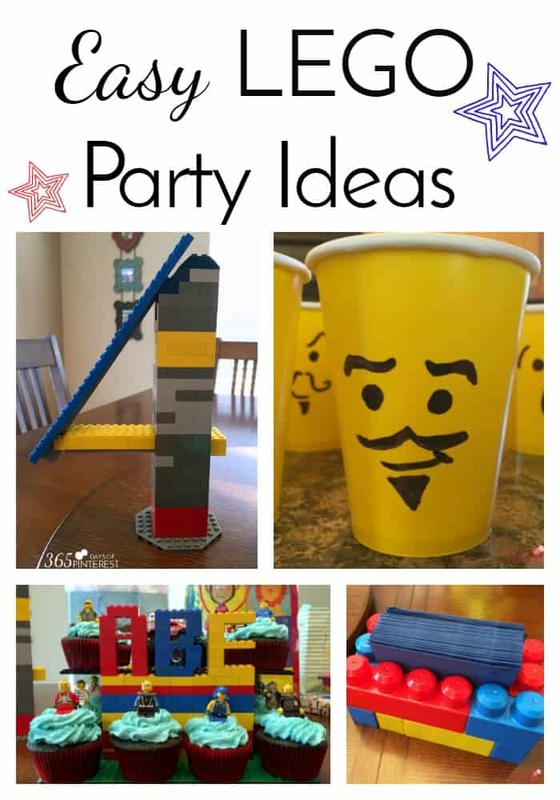 By now, you’re probably wondering…what happened to the easy Lego party ideas? That’s what I came for. Sorry! I’m getting back into the writing groove and felt like a little catching up was in order. 🙂 Another celebration this summer was for one of my nephews, Abe. 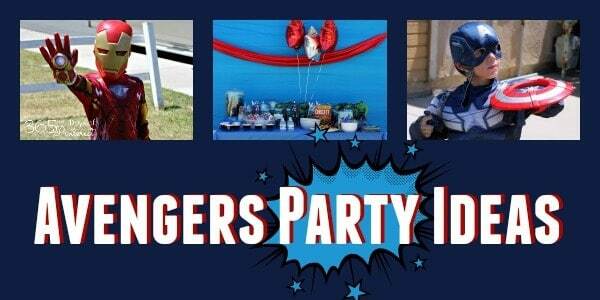 He turned four and his mama (sister-in-law #2) put together a really cute LEGO party for the family. 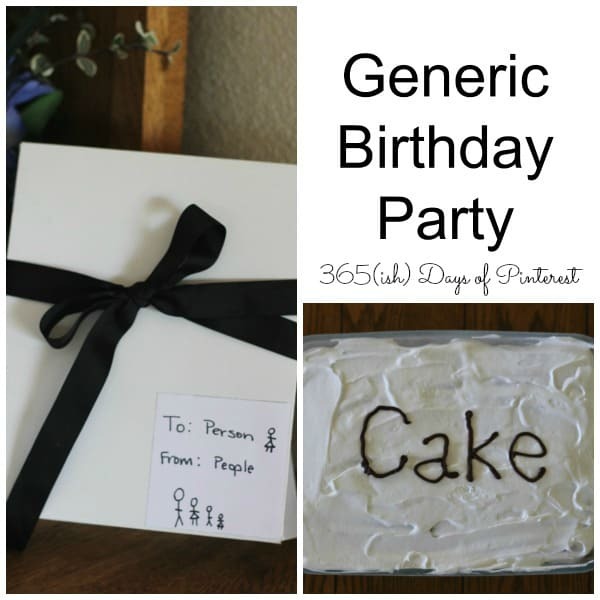 It was a small party with some simple touches that were so cute! I told her I was going to snap a few pictures with my phone and share them with you in a blog post. 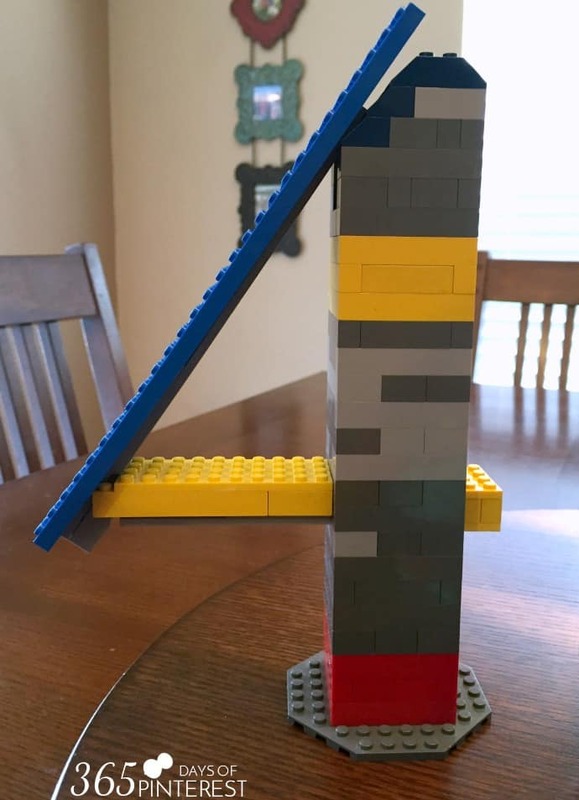 If you’ve been to Legoland or any of the LEGO stores, you know it’s possible to make just about anything out of LEGO blocks. Ryan and Jamie made a big number 4 for the table. Something like 2 or 5 would probably be more difficult, but I’m certain you can do it! 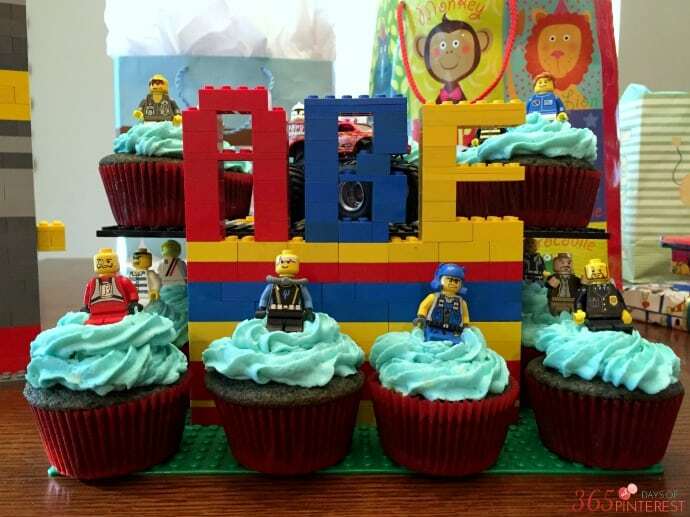 Jamie made the cutest cupcake display out of LEGOs! Fortunately, Abe’s name is short. 🙂 There were cupcakes on two levels and each one had a mini figure on top. The kids had fun choosing which “guy” they wanted. Now, I know that these are technically Mega Blocks, but you get the idea. Put a few together and you’ve got a colorful and useful napkin holder! The best thing about all these ideas is how inexpensive they are. 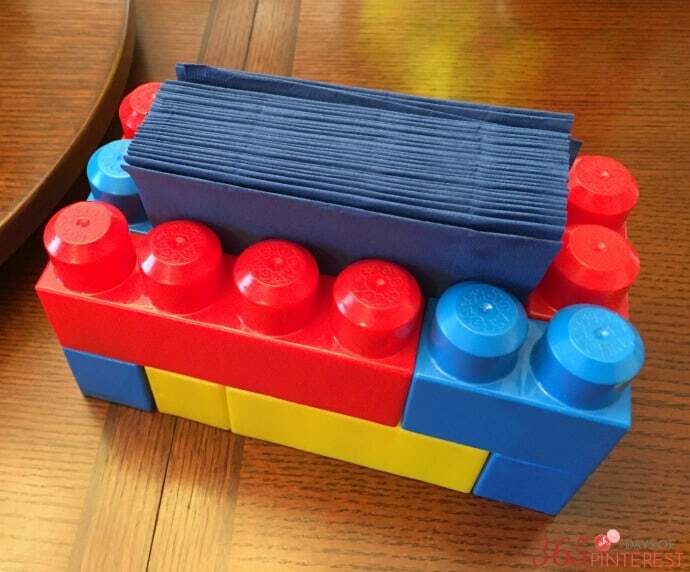 If you already have a collection of LEGOs there’s really no cost involved, other than the paper goods. 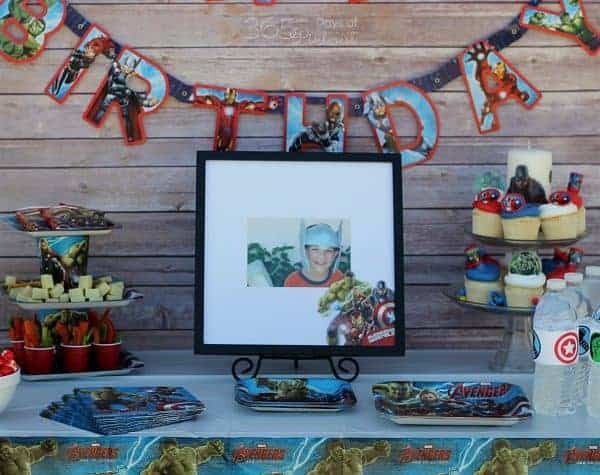 Abe was thrilled with his party and I think mom and dad did a great job with their creations!